Given a town charter by King Dinis, Borba is the centre of an administrative area which is small but fiercely proud of its identity. This identity dates back to the very foundation of Portugal as a nation-state, as proved by the castle and city walls ordered built by King Afonso II. 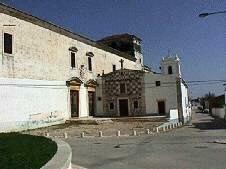 Other reasons must have led the Order of Servas de Cristo (Servants of Christ) to build their convent here. A sign that this choice was not made in vain can be seen in the Museu dos Cristos (Christ Museum) in Vila de Lobos, where for many years one could visit one of the largest collections of depictions of Christ in Portugal. All of this can also be related to the festival held on the weekend nearest to August 15 and dedicated to Nossa Senhor Jesus dos Aflitos. But Borba is also famous for its marble which has been used in buildings all over the country and the rest of the world and which is now one of the area's most important economic resources. Visit Borba, feast your eyes on its beauty, drink a glass of white or red wine along with some local cheese or sausage, and you will certainly want to come back one day! Church of Nossa Senhora das Neves (15th century). Church of the Convent of Servas de Deus (17th and 18th centuries). 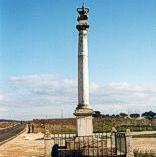 Large stone Cross and Church of S. Bartolomeu (17th century). 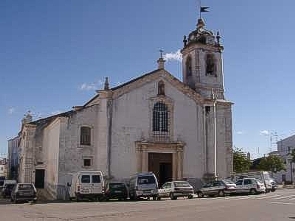 Church of Santo António (17th century). Church of Misericórdia (16th-18th century). Fountain of Bicas (18th century). 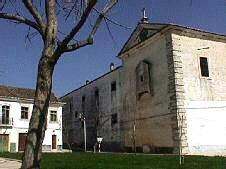 Convent of Nossa Senhora da Consolação do Bosque (16 to 18th century) and Quinta (Estate) do General (16th-18th century). Chapel of Nossa Senhora da Vitoria (17th century). 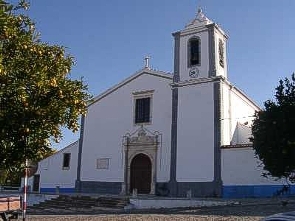 Church of Nossa Senhora da Orada (18th century). Parish Church of S. Tiago (13th century, important alterations in the 17th century). 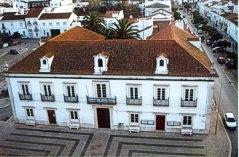 Museu de Cerâmica (Ceramics Museum) (Quinta dos Lobos). Exhibition gallery of ornamental stones - CEVALOR. City Hall Museum (painting, rural art and Sandes dolls). Wines, cheeses, sausages, golden cake and prunes in syrup. Angling. Hunting. Shooting. Visits to antique dealers. All Saints' Fair (first and second of November). Festival of Nossa Senhora de Orada (first week in August). 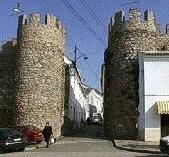 Monte da Fornalha, with its large Alentejana chimneys, nestles between the city of Estremoz and Borba. Monte da Fornalha was the rural house of the local Blacksmith, and has been restored and transformed from a state of ruin into a beautiful Guesthouse, with modern comforts, where you may enjoy precious moments all year round.